Check the Cable Tow tab to read the latest edition! 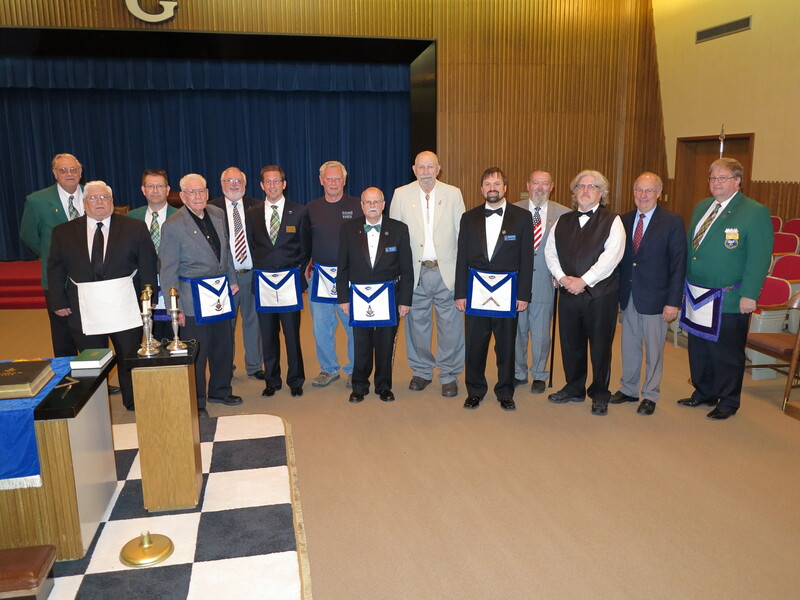 Please Note: Past Master’s Night will be May 28th. This is mis-stated in the newsletter. The revised scholarship application form is now available under the “Documents” page of this website. Unity 130 looks forward to receiving applications from interested students for financial assistance for the 2015-2016 academic year! Due to inclement weather conditions, our regularly stated lodge meeting on January 8 will be cancelled. The Entered Apprentice Degree will still be conferred on January 22. The January Cable Tow is now available! December Cable Tow is now Available! The December Cable Tow is now available in the Cable Tow Section! Congratulations to Brother Allen Lewis as he received his 50-Year Membership Pin from Unity Lodge 130! Brother Lewis was raised in Unity Lodge 130 in November of 1964. 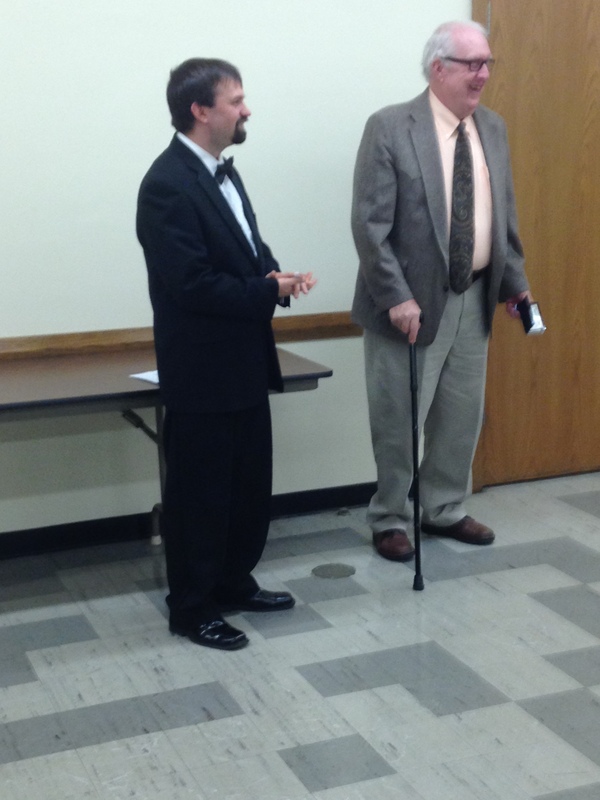 Brother Lewis receives his 50-Year Pin from Worshipful Master Bergstresser.